MILAN, Jun 24, 2014/ — The Roberto Cavalli Menswear Spring/Summer 2015 collection is impressive. 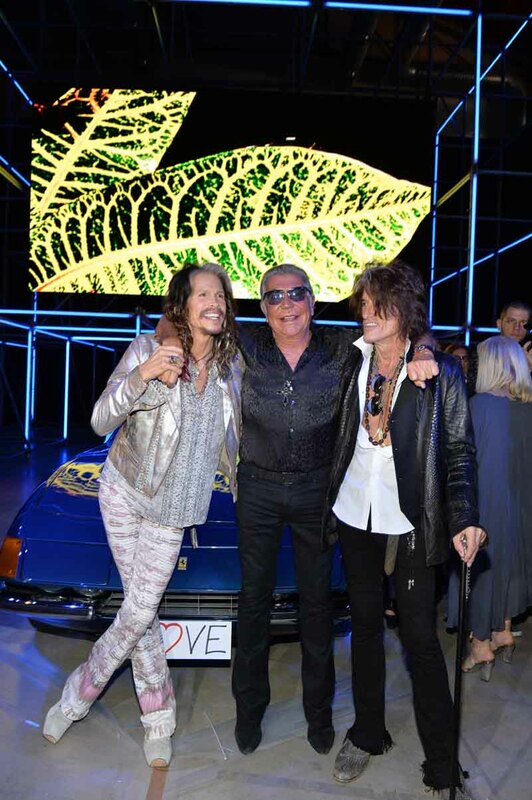 The front row with Aerosmith band members Steven Tyler and Joe Perry wearing Roberto Cavalli is impressive as well. Add architect and furniture designer Fabio Novembre and singer/songwriter Leon Else to the celebrity guests and you have paparazzi frenzy!